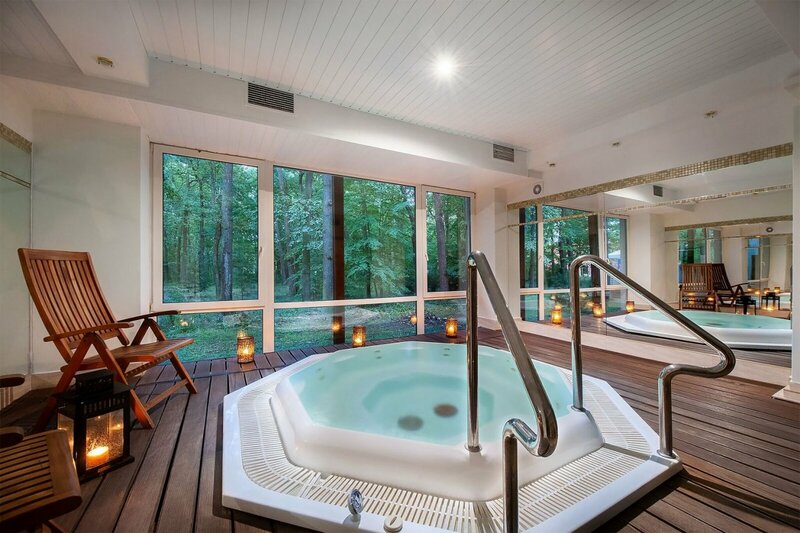 At the Mościcki **** Resort & Conference Hotel we make sure that both your body and mind can find some rest. 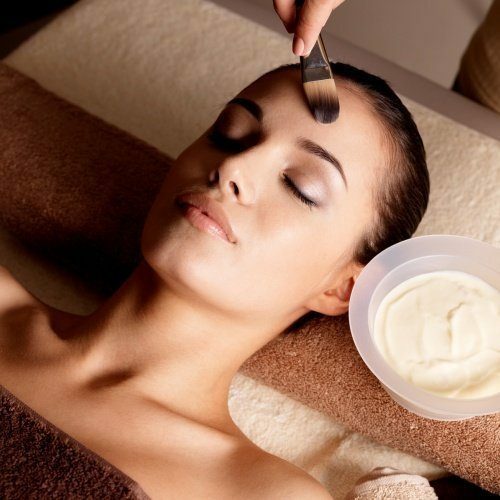 Our treatments offer relaxation and rejuvenation. After working intensively you will regenerate your body and give it a well-deserved rest. Take a look at the offer we have prepared for our guests. Our visitors can use a Jacuzzi, therapy bathtubs, a fitness studio, sauna as well as massage and physiotherapy parlours. Imagine spending an evening in a relaxing atmosphere after an entire day of conferences or trainings. 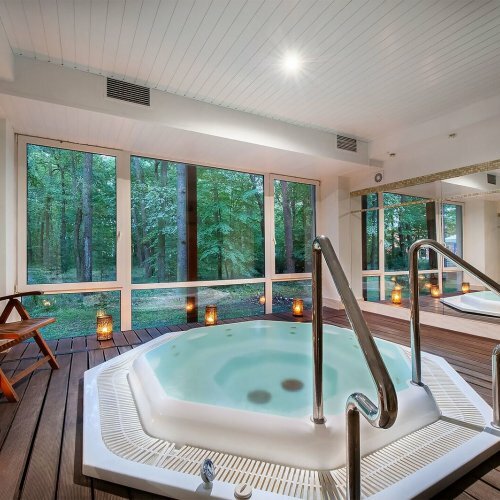 It is possible in the very centre of Poland – in the Mościcki **** Resort & Conference Hotel!OUR OFFER: •	Jacuzzi a relaxing underwater micro-massage with the illuminated water surface having a calming effect. Our guests can use the Jacuzzi free of charge. •	Finnish sauna – dry sauna bathing in a sauna is a combination of first overheating the body by using hot dry air, and of then cooling it down with cold water. It is recommended to people who are prone to infections and colds or suffer from respiratory diseases or rheumatism. •	Steam sauna a combination of the dry sauna with the beneficial effects of steam and aromatherapy. 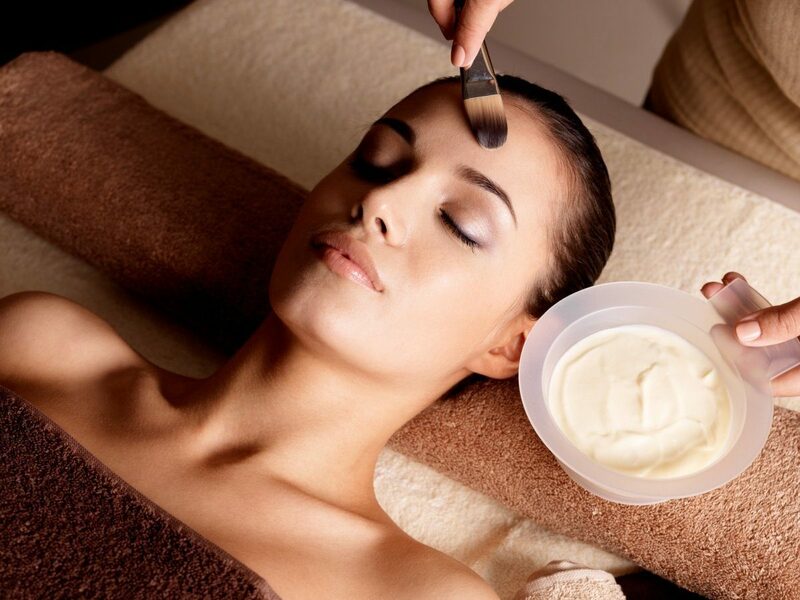 The treatment moisturises your skin intensively. Thanks to the increased blood supply and removal of toxins your skin becomes more elastic, firm and has a more natural colour. The body is cleansed – the sweat released in the process purifies the pores and as a consequence allows the skin to breathe more easily. It relaxes the muscles, improves blood circulation, airs the body and relaxes it. •	Therapy bathtubs Hydrotherapy has been applied for centuries as a treatment and relaxation technique. It is based on three simple elements: heat, submerging oneself in water and water movements known as hydro massage. The heat widens the blood vessels and accelerates blood movement through the body. It allows for enzymes and endorphins (natural painkillers) to work more quickly and more effectively, especially in those parts of the body such as muscles and joints which have been strained, damaged or pulled. The heat also helps the cells remove the metabolic remains and replace them with oxygen and other nutritional substances. In accordance with the SPA philosophy we take care not only of the body’s physical condition, but also of your general well-being – our treatments relax, rejuvenate and regenerate. PEARL BATH – bubbles of air are released from the bottom of the bathtub. The bath has a relaxing effect with a light massage; if performed with mineral water or with added essential oils the treatment also has a therapeutic effect. PEARL-OZONE BATH – the bubbles of ozone come to contact with your skin which is submerged in water and absorb the unwanted positive charges, give you a delicate massage as well as stimulate and increase blood supply. Ozone has many therapeutic effects such as healing and bactericide, fungicide or antimicrobial effects, it also supports the healing process of many illnesses such as obesity, skin diseases, depression, diseases of the locomotor system, hypertension, hypotension, degenerative lesions of peripheral vessels. UNDERWATER MASSAGE – the patient lies in a special bathtub full of water while the therapist moves a special nozzle over the patient’s body with water being brushed off under pressure. The treatment improves blood supply and lymph circulation as well as relaxes the muscles.WHIRLPOOL BATHS – are one of the forms of underwater massage. They are performed in special bathtubs equipped with a whirlpool mechanism. They cause congestion of limbs, ease swelling and stasis of venous blood. At the same time they have an analgesic effect and relax tense muscles. BRINE BATHS – baths with the use of salt. They are commonly used in treatments of joints degeneration, neuralgia, in rheumatology and dermatology. They also improve blood circulation. The use of the sauna and mini- fitness studio is free of charge to all hotel guests. DAY SPA Especially for our Guests we have prepared the offer of Day Spa Packages. Thanks to them you can forget about the daily hustle for a few hours and achieve complete relaxation. They are also a great idea for a gift for someone close to your heart – either a one person or for a couple. Discover our offer of SPA packages.